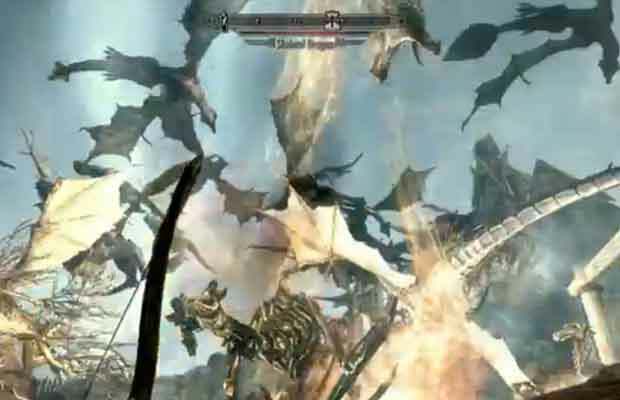 What Happens When 50 Dragons Attack at Once in "Skyrim"
So what does happen when 50 dragons attack all at once in Skyrim? Well, not much, to be honest. If Skyrim had destructible environments, it would be one thing. As it is, they mostly just fly around. If you watch it long enough (or you&apos;re drunk enough) you&apos;ll even start to see patterns—it&apos;s like a beautiful ballet. "Skyrim On Ice" anyone? IGN&apos;s got a big list of other Skyrim mods and glitches, but this is our favorite. Have you seen a better one? Let us know in the comments or on Twitter.